Nexus Series is designed, developed, managed and marketed by the Google while manufactured by some OEM. 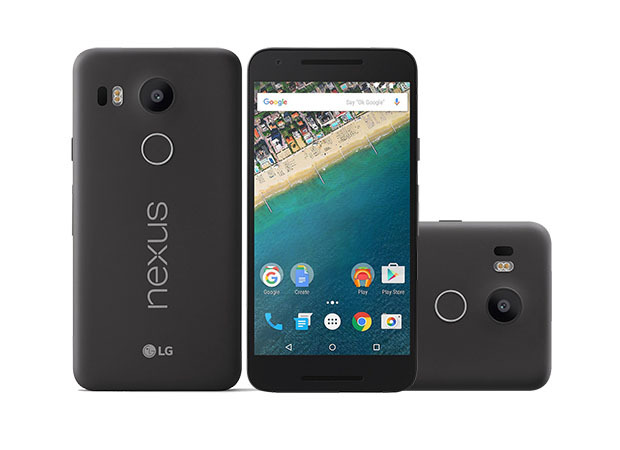 Nexus 5X is manufactured by the LG having specs like Snapdragon 808 Hexa-core, 5.2 inches display, 12.3 MP and 5 MP Camera, 16/32 GB ROM, 2 GB RAM and 2700 mAh battery. Here we will have Short review, Pros and Cons of LG Nexus 5X. The Smartphone is only 138 grams in weight while Huawei Nexus 6P weighing 178 grams the reason of being light in weight is its plastic built and smaller in size as compare to Nexus 6P. The plastic built that has soft matte finish still doesn’t lose its charismatic look and phone feels compact in hands. The power button, volume rocker is located on the right edge, Nano-SIM tray on the left, 3.5mm socket is on the bottom, and Notification LED is hidden in the lower grille. The cable that comes with the phone has Type-C on both ends, so you'll need an adapter or a Type-A to Type-C cable to use other chargers. Qualcomm Snapdragon 808 Hexa-core 1.82 GHz processor doing really good job along with stock Android v6.0 (Marshmallow) and 2GB of RAM. The phone doesn’t hang even after installing couples of the heavy apps, means this device going to give a hectic free smooth user experience. 5.2 inches capacitive touchscreen with 1080 x 1920 pixels resolutions and 424 ppi display density is pretty sharp and emitting great depiction from the screen. it shows great clarity to eyes when watching Movies in this handset. The picture on the display doesn’t show blurring in great extent of tilt. And for the protection of display, it is covered by Gorilla Glass 3. We have noticed that Nexus has improved its camera picture quality from the previous Nexus Smartphone. The quality of picture coming out from the 12.3 MP rear camera having 1.55μm pixels size and aperture of f2.0 is pretty cool even in low lit the camera sensor manage to take details of the image with minimum blur. 5 MP front camera stand on the mediocre range of quality. Doze mode is introduced in the Marshmallow to optimize the battery juice, it automatically enables the power saving modes and closing the unwanted apps running in the background. This handset is pre-loaded with 2700 mAh battery which is quite sufficient to work for the whole day. The Nexus Phones are always appreciated by the people because it is developed by the Google for the stock Android experience with decent quality features and great premium look as they have guaranteed update for the next version of the Android OS. The Nexus 5X looks low on paper such as Snapdragon 808 with 2 GB of run although performance is butter smooth. Camera is 12.3 MP only but captures quality photographs. There is one downside of the Smartphone which can swing a customer’s mood i.e. having no SD card especially in 16 GB variant that is not enough in today’s scenario apart from this it does not have any major disadvantages.